Main purpose of this report is to analysis Budget and Financial Statement Analysis of City Bank Limited. Other objectives are to make an analysis on revenue budget of the city bank comparing with actual achievement on 2007 and 2008. Report also focus on to know about a corporate banking and environment where top level executive work by delivering their professionalism. Finally to have a comprehensive knowledge on budget analysis of a bank. General objective of the Report: To learn corporate environment of financial institutions like banks. To make an analysis on revenue budget of the city bank ltd. comparing with actual achievement on 2007 & 2008. To have a comprehensive knowledge on activities of finance division of the city bank ltd.
To know about a corporate banking & environment where top level executive work by delivering their professionalism. To have a comprehensive knowledge on budget analysis of a bank. As I am assigned to analysis on budget, I tried to find the discrepancies with actual achievement. Official website of the bank. Different books, journals and periodicals that are related to the banking sector. Direct observation of daily banking activities. Discussion with Top level management. Face to face conversation with employee of the bank. The City Bank Limited is the first private sector Bank in Bangladesh. The Bank has been operating since 1983 with an authorized capital of Tk. 1.75 Billion under the entrepreneurship of twelve prominent & leading businessman of the country. The noble intention behind starting this Bank was to bring about qualitative changes In the sphere of Banking and Financial management. Today The City Bank serves it’s customers at home & abroad with 82 branches spread over the country & about three hundred oversea correspondences covering all the major cities and business center of the world. The services encompass wide diversified areas of trade, commerce & industry which tailored to the specific needs of the customers and are distinguished by an exceptional level of prompt and personal attention. Over the years the Bank has expanded the spectrums of Its Services. The extensive and ever growing domestic network provides and carries various products and services to the doorsteps of millions. The City Bank Limited has already introduced some new Banking products like duel currency Credit Cards, ATM and Online services which has created attraction among the clients. The Bank is going to introduce real time Internet, SMS and Phone Banking systems with all modern delivery channels at an early date. For significant performance, The Bank has earned national & international recognition. The City Bank Limited was one of the 12 Banks Of Bangladesh among the 500 Banks in Asia for it’s asset, deposit & profit as evaluated by “ASIA WEEK” In The Year 2000. Other than that, The City Bank Limited received the “Top Ten Company” award from the Prime Minister of the People’s Republic of Bangladesh. The city bank ltd. have a distinguished Board of Directors which consists of thirteen successful and reputed businessmen. Mr. Aziz Al-Kaiser, a top leading businessman, industrialist, pioneer personality & entrepreneur of private sector’s Bank in Bangladesh, is the Chairman of the Bank. Mr. Kazi Mahmood Sattar a dynamic, nationally & internationally reputed Banker is the Managing Director (MD) of the Bank. To be the leading bank in the country with best practices and highest social commitment. To contribute to the socioeconomic development of the country. To attain highest level of customer satisfaction through extension of services by dedicated and motivated team professionals. To maximize bank’s profit ensuring its steady growth. To maintain the high moral and ethical standards. To ensure participative management system and empowerment of human resources. To nurture an enabling environment where innovativeness and performance is rewarded. Total capital of the city bank limited. Bank made a modest profit in 2007, held an excess provision for loans and advance, maintained a surplus capital as per CAR requirement. Bank’s NPL ratio reduced toward benchmark level. An enormous task of restructuring & realignment process is going on in operations, introduced SMS banking, increased ATM & POS numbers as well as number of Cards in respect of Debit and Credit. Bank’s branch network is well spread within the country with 83 branches. There is a work force of nearly two thousand employees comprised of experienced & dynamic supervisors, hardworking & motivated workers lead by charismatic & successful leaders. The bank is well positioned to meet the challenges in up coming years and will continue to strive to innovate and capture opportunity for satisfactory growth, improvement of asset quality, customer services and value creation. The bank is focused on its existing customers and will focus on potential customers also. This strategy is supported by wide spectrum of scrumptious products in the bank’s product line up and by offering fast and quality service and pleasant experience to its customers. The bank will continue to harness the potential of retail operations, SME financing, on line banking channels through out all branches, internet banking, phone banking and NRB remittance market. However, there is continued pressure on interest margins, commission and fee earnings, exchange income and increased provision requirement and compliance issues. In its pursuit for growth, the bank will always adhere to good corporate governance and best practices and sound risk management policies and strict credit evaluation procedure. A Budget is a plan that outlines an organization’s financial and operational goals. So a budget may be thought of as an action plan; planning a budget helps a business allocate resources, evaluate performance, and formulate plans. While planning a budget can occur at any time, for many businesses, planning a budget is an annual task, where the past year’s budget is reviewed and budget projections are made for the next three or even five years. The basic process of planning a budget involves listing the business’s fixed and variable costs on a monthly basis and then deciding on an allocation of funds to reflect the business’s goals. Every financial organization has financial projection or business plan for the fiscal year. The City Bank also formulated a business plan for the year 2008. Total interest/profit on loans& ad. The City Bank Ltd. Projected 4% interest earnings on their loans & advances over the actual earnings on 2007. But due to some good management of credit department they achieved 11.62% in the year 2008. We see here in profit & loss a/c. interest income achieved well over what is projected/expected due to less income growth in Interest received from foreign banks, Loans against Imported/Murabha, Packing credit, House building loan, Lease finance/Izara, Payment against documents, cash credit/Bai-Muajjal, Consumer credit Scheme, Interest on SME, Documentary bills purchased Interest on cash incentive, Interest on call loans, Loans (General)/ Musharaka. Though the city bank ltd. Have earned more interest on loans & advances than that of their projection, but if they want to increase their growth they have to focus on earnings from, Interest received from foreign banks, Loans against Imported/Murabha, Packing credit, House building loan, Lease finance/Izara, Payment against documents, cash credit/Bai-Muajjal, Consumer credit Scheme, Interest on SME, Documentary bills purchased Interest on cash incentive, Interest on call loans, Loans (General)/ Musharaka. On the other hand the expected interest expenses to reduce by 3.16%, but they afford to less by 2.24%. It may cause of heavy inflation during the year 2008. But as we know inflation is a systematic risk for any financial institution. So, to avoid these they have to more professionalism in making their decisions. In fact the city bank ltd. Had more deposit & scheme comparing to the year of 2007. In 2007 total deposit was 40539.63 but in 2008 it increases largely and it was 45034.33. This is the main reason for not achieving the projected rate. So, the net interest earnings of the city bank ltd. settled by increasing 58.93% what was projected at 28.43%, it happened due to large earnings on loans & advances in the year of 2008. The city bank ltd. achieved above double of net interest income what is projected for the year 2008.This is because they had more income on loans & advances in the year of 2008 comparing to the year 2007. So they are well over what is expected in their budget planning. As they earned a large amount from interest earning their net interest earning also increases. So this position should retain in future. In the projection for the year of 2008 the city bank ltd. Assumed 26.10% growth over 2007, but they achieved 36.18% on Investment Income. The city bank ltd. Achieved higher income on their investment. Increased income of Interest on treasury bills, Dividend on share, Gain on Government securities contributed much to achieve this success. There income from investment is well over their expectation and they have to retain this position. In the projection for the year of 2008 the city bank ltd. Assumed 29.13% growth over 2007, but they couldn’t achieve what they expected rather they earn 7.37% less comparing to 2007.Total commission & exchange earning is below their expectation. There assumed that they will be able to earn 29.13% more than the year 2007. But they earned 7.37% less than the year 2007.They earned 16.96% less on Commission on export bills, 43.55% less on Commission on bills purchased, 11.58% less on Commission on accepted bills, 8.60% less on Commission on OBC, IBC, 13% less on Commission on PO, DD, TT, TC and 17.86% less on Exchange Gain which ultimately largely contributed to this. They have to focus on to income from Exchange Gain, Commission on export bills, Commission on bills purchased, and Commission on accepted bills, Commission on OBC, IBC, and Commission on PO, DD, TT, and TC. Again, in the projection for the year of 2008 the city bank ltd. Assumed 93.30% growth on other Operating Income over 2007, but they achieved only 46.30% which is about half of their expectation. Total operating income growth was estimated at 93.30% but actually they achieved only 46.30%. Here 2 things are mentionable that in 2007 Gain from sale of Treasury was 129163 but in 2008 it was nil & it was expected that other operating income with Postage/ Telex/Fax/ SWIFT will rise but it even lower than 2007. So these things contributed much on that type of situation. So they have to focus more on Gain from sale of Treasury and earning from Postage/ Telex/Fax/ SWIFT etc. Here we see in the projection for the year of 2008 the city bank ltd. Assumed 36.69% growth on Total Inc from Investment, Exchange & Commission earning over 2007, but they achieved only 23.35% which is not up to their expectation. But they achieved 36.46% growth revenue over 2007, which was expecting to grow by 33.64%. So overall they have success over revenue earning. On the other hand they expected that their operating expenses will not go over 30.98%, but actually they had to cost 33.35%. Which ultimately effect on the total operating income. Though they have achieved well over their expectation on total operating income. Here the total operating income expected to have 36.43% growth over 2007, but they achieved 39.72%. They have to focus more on other operating income & Commission & Exch. Earning. Though they have achieved tk. 379358107 more on Total Inc from Investment Exchange & Commissions comparing to 2007, but they have to focus more on Total Income from Investment Exchange & Commission as they expected more than that growth rate. In this regard they have to choose right investment decisions and at the same time they should accept those projects to invest which are quite profitable. Here, we see total budgeted interest income was estimated at 4%, but they achieved 11.60%. That means they achieved more growth than their projected interest income. But they haven’t achieved actually what they expected; because of in 2008 they successfully collected more deposit than the year 2007. That is why they can’t able to achieve their projection. But it is a good sign in the sense of deposit collection. On the other hand their net interest income and total investment income achieved quite successfully. But they have negative growth on commission and exchange earning. The bank also far behind from their budgeted growth, though they achieved 23.35% growth over 2007. On the other hand they achieved their expected growth over revenue as well as from total operating income. But they were expecting during the year their operating expenses will no more than 31%, but actually they have to pay 33.35%. The reason behind that they were focusing more on expansion of their banking service. Moreover high inflation rate during the year 2008 may another reason behind that. Operating Performance of the city bank ltd.
Return on equity for the year 2007 was 12.71%, on the other hand in 2008 it was 11.23%. This means Return on Equity (ROE) fall less by 1.48%, because of higher closing balance for the year 2008. Return on Assets (ROA) in 2007 was 0.71% & in 2008 it was0.75%. This means Return on Assets (ROA) increased by 0.04%, Profit after tax in 2007 is lower than 2008. Checking balance in Finacale bank Software. Showing Statement in a Finacale bank Software. Learn more about the cost center and business center. Learnt more how to response on a corporate environment. Banking activities needs more accuracy and professionalism. Routine work/ Punctuality is must for being successful in this banking industry. Learnt more about the financial projection and financial analysis of a financial institution like bank. Duties and responsibilities of employees of finance division. Working hour of the organization. Use of IBC and OBD. Communication and coordination between different division. We see in the profit & loss a/c. growth on interest income achieved what was projected/expected. But there are less income growth in Interest received from foreign banks, Loans against Imported/Murabha, Packing credit, House building loan, Lease finance/Izara, Payment against documents, cash credit/Bai-Muajjal, Consumer credit Scheme, Interest on SME, Documentary bills purchased Interest on cash incentive, Interest on call loans, Loans (General)/ Musharaka which reduced the more growth. As we see the city bank ltd. wanted to reduce their cost on interest/profit paid on deposits by 3.16%. But they are enabled to make it at 2.24%, because of more cost on Savings bank deposits, Short term deposits, Interest Paid to local Bank, Mudaraba monthly benefit scheme, Repurchase agreement, Mudaraba Term Deposits, Deposits under scheme. In fact the city bank ltd. collected more deposit & scheme comparing to the year of 2007. In 2007 total deposit was 40539.63 but in 2008 it increases largely and it was 45034.33. This is a reason not for achieving the projected/expected rate. The city bank ltd. achieved above double of net interest income what is projected for the year 2008.This is because, they had more income on loans & advances in the year of 2008 comparing to the year 2007. So they are well over what is expected in their budget planning. In the projection for the year of 2008 the city bank ltd. Assumed 26.10% growth over 2007, but they achieved 36.18% on Investment Income. The city bank ltd. Achieved higher income on their investment. Increased income of Interest on treasury bills, Dividend on share, Gain on Government securities contributed much to achieve this success. In the projection for the year of 2008 the city bank ltd. Assumed 29.13% growth on Total commission & exchange earning over 2007, but they couldn’t achieve what they expected, rather they earn 7.37% less comparing to 2007.Total commission & exchange earning is below their expectation..They earned 16.96% less on Commission on export bills, 43.55% less on Commission on bills purchased, 11.58% less on Commission on accepted bills, 8.60% less on Commission on OBC, IBC, 13% less on Commission on PO, DD, TT, TC and 17.86% less on Exchange Gain which ultimately largely contributed to this. Again, in the projection for the year of 2008 the city bank ltd. Assumed 93.30% growth on other Operating Income over 2007, but they achieved only 46.30% which is about half below of their expectation. Total operating income growth was estimated at 93.30% but actually they achieved only 46.30%. Here 2 things are mentionable that in 2007 Gain from sale of Treasury was 129163 but in 2008 it was nil & it was expected that other operating income with Postage/ Telex/Fax/ SWIFT will rise but it even lower than 2007. So these things contributed much on that type of situation. We see in the projection for the year of 2008 the city bank ltd. Assumed 36.69% growth on Total Inc from Investment, Exchange & Commission earning over 2007, but they achieved only 23.35% which is not up to their expectation. But they achieved 36.46% growth revenue over 2007, which was expecting to grow by 33.64%. So overall they have success over the expected growth on revenue earning. On the other hand they expected that their operating expenses will not go over 30.98%, but actually they had to cost 33.35%. Which ultimately effect on the total operating income. Though they achieved well over their expectation on total operating income. Here the total operating income expected to have 36.43% growth over 2007, but they achieved 39.72%. In Bangladesh banking sector has a significant role to our economy. As the city bank is one of the largest participants in this industry, it is contributing to our national economy. Almost all the divisions are working to hold this position an to go ahead, especially finance division is providing more efforts. Some highly qualified and professional are members of the organization who have a vast experience in this industry are performing their duties. But they have to dedicate more in their working area. During the time of analyzing this report on Budget & Financial Statement Analysis of the city bank ltd. I faced various problems as they didn’t make a proper budget during the year 2007. Apart from that the city bank ltd. Performance was better than many other banks. But during the year 2008 they earned large amount revenue. The financial performance of CBL is better any other banks in the in this industry. So this position should be retained. Though the city bank ltd. Have earned more interest on loans & advances than that of their projection, but if they want to increase their growth they have to focus on earnings Interest received from foreign banks, Loans against Imported/Murabha, Packing credit, House building loan, Lease finance/Izara, Payment against documents, cash credit/Bai-Muajjal, Consumer credit Scheme, Interest on SME, Documentary bills purchased Interest on cash incentive, Interest on call loans, Loans (General)/ Musharaka. They should focus on income from Exchange Gain, Commission on export bills, Commission on bills purchased, and Commission on accepted bills, Commission on OBC, IBC, and Commission on PO, DD, TT, and TC. They should focus more on Gain from sale of Treasury and earning from Postage/ Telex/Fax/ SWIFT etc. Though they have achieved tk. 379358107 more on Total Inc from Investment Exchange & Commissions comparing to 2007. But they have to focus more on Total Income from Investment Exchange & Commission as they expected more than that growth rate. In this regard they have to choose right investment decisions and at the same time they should accept those projects to invest which are quite profitable. 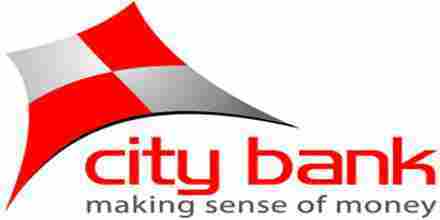 Retail: In line with the Bank’s strategy of making banking services more accessible to customers, City Bank is planning to launch proper banking services and business in all branches. All branches or the bank will be brought under sales and service model focusing retail banking business while giving services to all other customer of different business units. City bank towards the end of 2007 opened one new branch at Nikunjo under the Retail Banking Model. Corporate: As a part of its commitment to provide global quality service, City Bank, one of the largest local private banks has launched its Corporate & Investment Banking Division recently. This shift, from branch banking model to business driven matrix, is the first step of the bank’s plan to revitalize its way of doing business in upcoming years. Treasury: In 2007 bank’s Treasury investment portfolio increased substantially due to slow growth of corporate lending portfolio. In 2007 Treasury investment portfolio in creased by almost 80%. At the end of 2007 our total treasury investments were made in areas like Government Treasury bond, Inter-bank Fixed Deposit and Bangladesh Bank Bill. Due to low yield in T-Bill and low demand in secondary security market, Investment in was lower in 2007. SME: It is expected that SME business momentum in the coming years will significantly enhance your bank’s market share in this segment. HR (Human Resource): In the year 2007, the Bank Appointed 87 employees of whom 23 were executives, 9 junior cash officers and 48 officers of different levels with 8 staff and sub-staff, Total number of employees of the Bank at the close of the year 2007 thus stood at 1991 employees, comprising 239 executives, 1158 officers and 594 other support staff. Compared to 1989 in 2006 of which 200 were executives, 1178 officers and 611 other support staff. ICC (Internal Control & Compliance Division): Good controls encourage efficiency, compliance with laws and regulations, sound information and helps eliminate fraud and abuse. Internal control is not only about getting things done but also about ensuring that they are done properly and that this can be demonstrated and reviewed i.e. maintain transparency and accountability. The principal activities of the bank are to provide all kinds of commercial banking services to its customers through its branches in Bangladesh. Method of Accounting The financial statements of the Bank are made up to 31st December 2007 and are prepared under the historical cost convention and in accordance with the “ First schedule ( Sec-38) of the Bank Companies Act, 1991, BRPD Circular # 14 Dated 25th June 2003, other Bangladesh Bank Circulars, International Accounting Standards and International Financial Reporting Standards adopted by the institute of Chartered accountants of Bangladesh, Companies Act, 1994, the security and exchange rules 1987, Dhaka & Chittangong stock exchange listing regulations and other laws and rules applicable in Bangladesh. Basis of consolidation A separate set of records for consolidation of the statement of affairs and income and expenditure account of the branches are maintained at Head Office of the Band based on which these financial statement have been prepared. The consolidated financial statement comprises the financial statement of the City Bank Limited in terms of the Bangladesh Accounting Standard 27 on Consolidated financial statements. Minimum Capital Requirement With a view to strengthening the capital base of banks and make them prepare for the implementation of Basel ц Accord, it has been decided that henceforth banks will be required to maintain capital to risk-weighted assets ratio 10 percent at the minimum with core capital not less than 5 percent. This requirement will have to be achieved by December 31, 2007.